Pssst, buddy, wanna buy some “investment grade” baseball cards from the late 80s? In my basement storage area, I have a trunk full of investment grade mostly worthless baseball cards from the late 1980s. In retrospect, it’s good that I was barely squeezing out a living as a public interest lawyer in New York, because if I had any more money to spend at the time, it’s possible I would’ve sunk it into buying even more baseball cards. I know I’m not alone in this. During the mid to late 80s, grown men of various means spent a lot of money accumulating huge collections of cardboard with pictures of baseball players. Some, like me, dreamed that their prized acquisitions eventually would skyrocket in value, like so many vintage baseball cards from earlier in the century. In fact, I even joined something called the Baseball Card Society, run by a fellow in New York who sent us “members” monthly packets of easily obtained new and recent baseball cards at premium prices, accompanied by “investment” letters and booklets that made this all sound like a serious and profitable business. I wonder if famed economist John Kenneth Galbraith would’ve written about baseball card “investors” like me had he ever updated his humorous little book, A Short History of Financial Euphoria (1990), in which he detailed, among other things, the maniacal Dutch speculation over tulips during the 1630s. (1) Condition, condition, condition — A perfectly centered, mint condition baseball card is the ideal collectible. 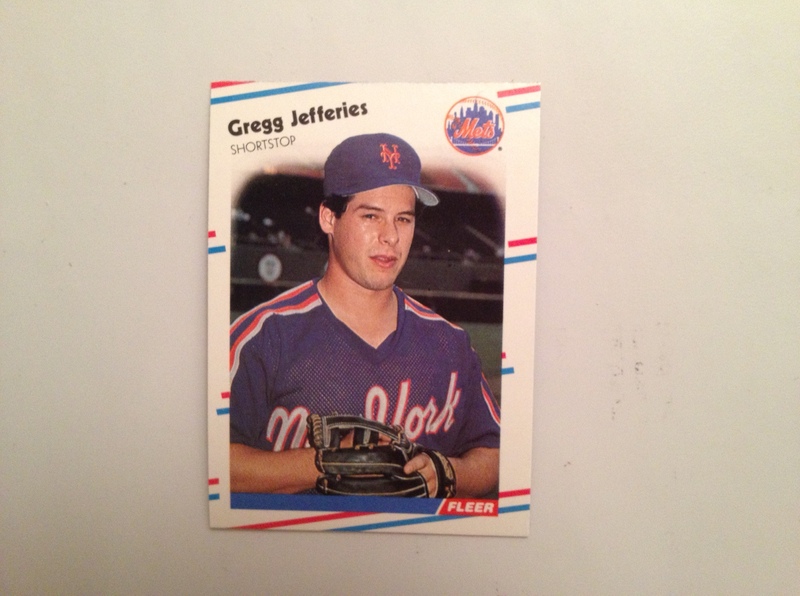 (2) Subject — For baseball cards, it usually means the player depicted. The card of a popular future Hall of Famer is more valuable than a reserve player. (3) Rookie — The term “rookie card” refers to the first time a player is depicted on a baseball card. Rookie cards are coveted by collectors. (4) Scarcity — Less is more from a value standpoint, either because few were printed, or — in the case of so many baseball cards produced during the 50s, 60s, and 70s — because mom tossed them out when junior grew up and left the house. Please keep these in mind as I boast a bit about my baseball card collection. But aside from the occasional misses, there were the sure things. 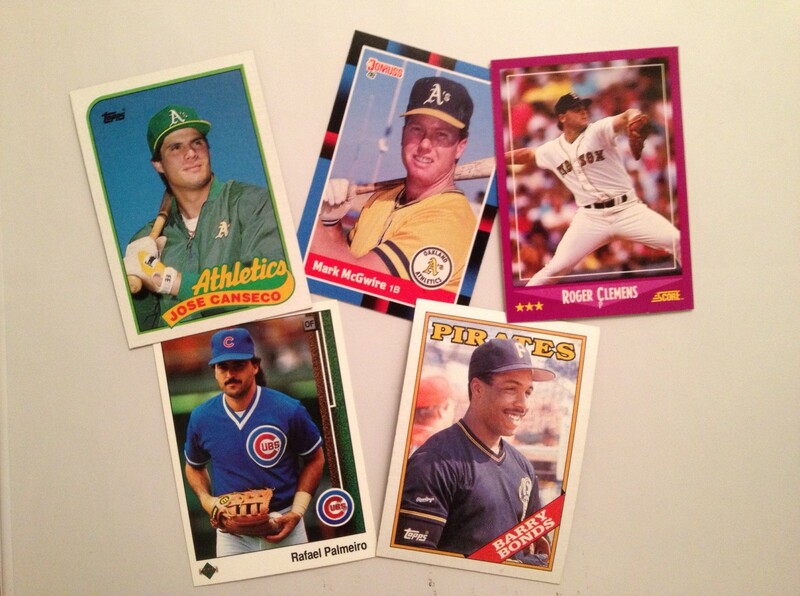 Like cards of superstars such as Mark McGwire, Jose Canseco, Barry Bonds, Rafael Palmiero, Roger Clemens, and more!!! Great players compiling epic statistics, all headed to the Hall of Fame, yes?!?!? Thank goodness I’ve got dozens of mint condition cards of each, including rookie cards. Forget the lottery; these babies are my ticket to the good life!!! But…WHOOPS…these players and others ran into that performance-enhancing drug problem. Now their cards are worth as much as losing scratch tickets. And there’s another big problem: The scarcity factor is a little, well, problematic. Even had these guys racked up their big numbers without the use of supplements, ever-expanding numbers of baseball card companies were pumping out millions upon gazillions of cards. Consequently, there probably are enough Mark McGwire baseball cards out there to give a box of them to every person in the world. Even if every human being in India (plus their former lives) suddenly wanted to collect 1980s baseball cards, supply would still exceed demand. It’s about time I took a look at these boxes and boxes of baseball cards. Some, mainly the older ones from my childhood, and a few other cards that I bought smartly, have value. But the rest — including most of those late 80s cards — are worth next to nothing. Sounds like a late spring project, but until then, if you’d like a great deal on some vintage collectibles, leave a comment here and I’ll get right back to you.